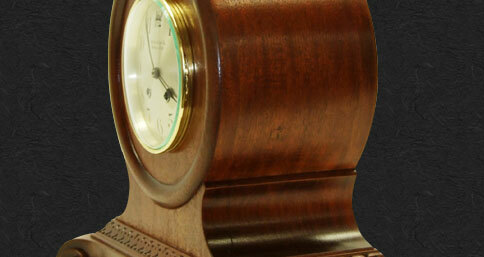 Our skilled clock technicians have experience restoring and repairing a wide variety of fine antique clocks. Whether vintage mechanical, quartz clocks, clocks made by Chelsea or by other well known clock brands, Chelsea Clock has restored clocks to their original appearance. 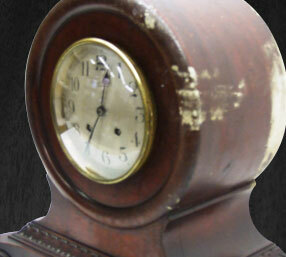 This unique and rare “Mahogany Pedestal” clock was manufactured by Chelsea Clock in 1911, part of a line of striking clocks for home use. 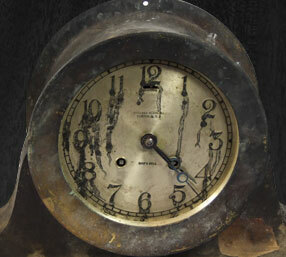 The clock suffered from slight fire damage on the wooden case and overall had an aged look on the dial. Our technicians completely overhauled the movement, refinished the dial, hands and reflector and performed a complete restoration on the wood case. 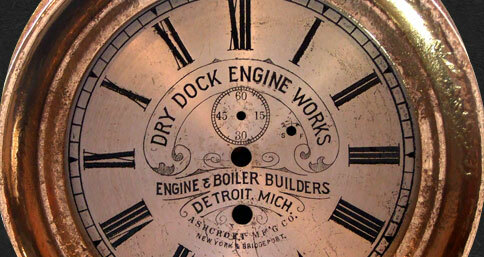 This marine time only clock, manufactured by the Boston Clock company just prior to Chelsea Clock’s inception, was found on a 19th century sunken ship by an avid clock collector/diver at the bottom of one of the Great Lakes. Striving to maintain the distressed finish of the antique timepiece, our technicians refinished the case, re-silvered the dial, installed new glass, replaced all rusted hardware and fixed the latch. 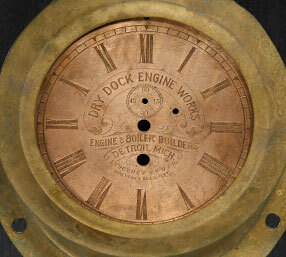 This antique Ship’s Bell clock made in 1922 was salvaged by its owner in a house fire. The movement was virtually unaffected by the damage, however required a routine cleaning and overhaul in order to remove the accumulation of debris and now runs perfectly. 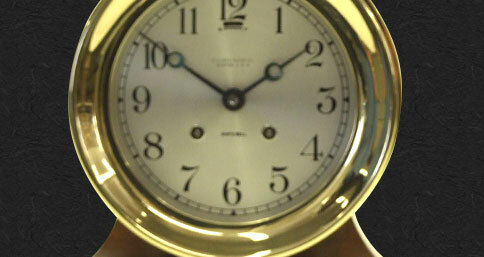 Our technicians also replaced the glass, as well as refinished the case and dial to reveal a clock in near pristine condition.